For all you mountaineering fans we have finally received a message from our proud Aussie charity patron Gavin Vickers and his climbing partner John Currie from Sydney. 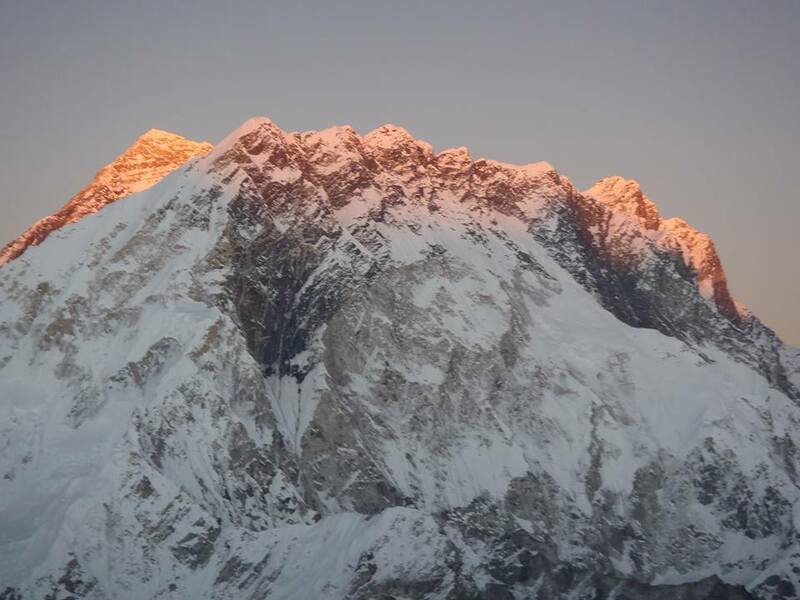 They are currently climbing a mountain called Cholaste in the Himalayas and we are thinking of them as they presently experiencing the joys of altitude, cold, sleep deprivation and the loss of many home comforts…..on a plus side they are achieving their dreams! John and I plan to climb Cholatse on the south East Ridge. We started our adventure in Kathmandu on the 11th Oct and flew into Lukla on the 6.15am flight and were really lucky as they shut the airport due to poor visibility after the 5th flight. We hiked to Monjo the first day with our 3 young strong porters. The next day we hiked up to Namche bazaar where we spent 2 days for acclimatization and went up to the Everest view hotel and enjoyed the views of Ama Dablam and Everest. The next days where spent hiking to Pangboche, Pheriche and Zhong La. We packed our climbing equipment and had a very difficult 8 hour hike up to the high camp on Lobuche east and made camp. We left high camp at 6am and were on the summit at 830am. We then descended to high camp and packed up and made the long and difficult hike back to Zhong la where we got back around 430pm. Pangboche Bakery serving the best apple pie in the world! Today we left Zhong la and went over the Cho la pass right next to Cholatse, the peak we intent to climb. We arrived at Dragnag after 5 hours where we will have a rest day before heading to Cholatse base camp.